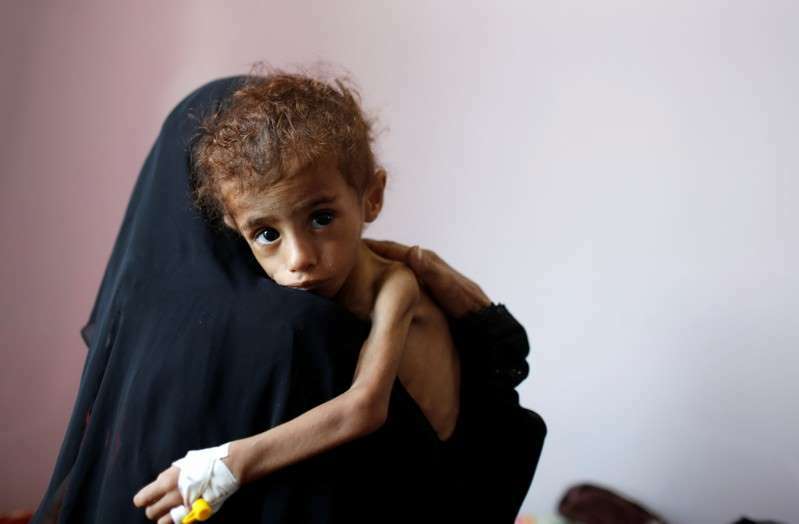 The United Nations aid chief sounded the alarm at the Security Council on Tuesday that half the population of war-torn Yemen - some 14 million people - could soon be on the brink of famine and completely relying on humanitarian aid for survival. He described the scale of what was being faced in Yemen as "shocking" given that only two famines had been declared in the world in the past 20 years - Somalia in 2011 and a localized famine in South Sudan last year. "The immune systems of millions of people on survival support for years on end are now literally collapsing, making them – especially children and the elderly – more likely to succumb to malnutrition, cholera and other diseases," he said.